Our Herd has tested negative for CL, CAE and Johnes for 2018-2019! Pregnancy tests came back POSITIVE! Check out our breeding schedule page for more info. Our 2017 baby Dos Cabras Rafael is still looking for a herd of girls to call his own. This fiesty little guy will be two years old in February and is on his way to developing his extreme silky coat! With both grandsires earning their MCH titles within the last few years, we feel extremely lucky to have such good bloodlines to boast about. Please call or email if you are interested in adding our Rafe to your breeding program. Welcome to our Site! 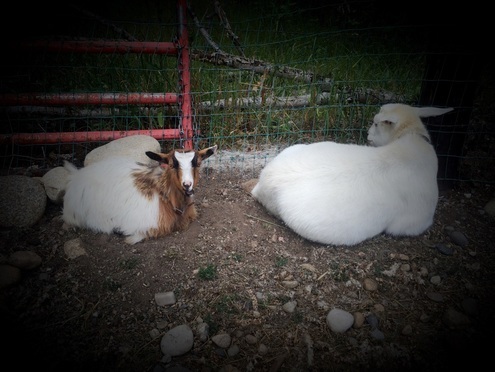 We are located outside of Red Lodge, Montana and are beginning our journey of raising wonderful, family friendly and healthy miniature fainting goats. 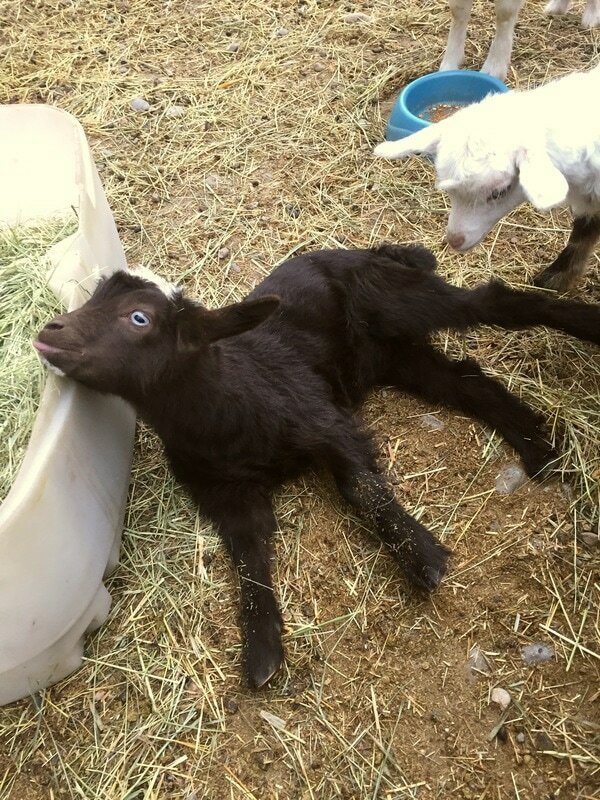 We purchased our two miniature fainting goats (Lucy & Billy) from Mary and Carl Schaefer of Genesis Acres Exotic in Wisconsin in 2010 and fell completely in love with taking care of them. I found them after almost a year of searching the internet and researching every kind of goat farm/ranch I could find. I hadn't totally decided a myotonic goat was right for our family at that point and was considering other breeds such as nigerian and pygmy goats as well (not even knowing at that point what a Mini Silky goat was). 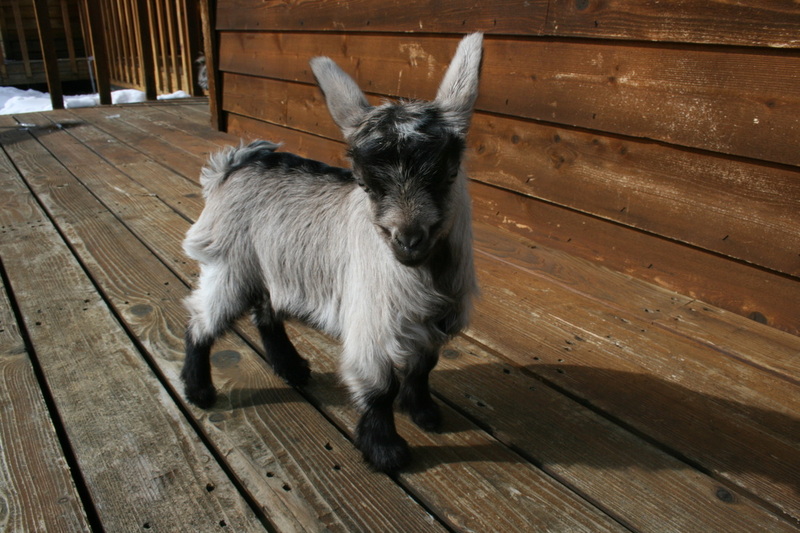 I did know though that I wanted small, friendly goats and had my heart set on one boy and one girl. I had nearly exhausted all the avenues I could find, still not having found the pair I was looking for, when I stumbled upon the Genesis Acres Exotic site. From the moment I reached their for sale page, I knew we had found the two goats we had been looking for. They were the first two goats on the page and they were perfect! Love at first sight! When they finally arrived, it was the best day I had ever had. Everyone in the family was charmed by their little faces (and even their unique baby goat howls). They have been an absolute joy these last 7 years and we have finally decided to take that love to the next level and begin our own breeding program. 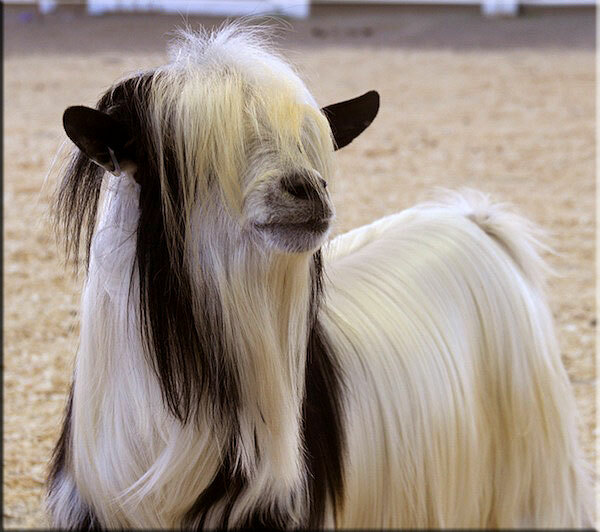 The newest additions to our herd are Mini Silky Fainting Goats, which are a newer breed of goat specifically bred to have long, silky hair and bangs. 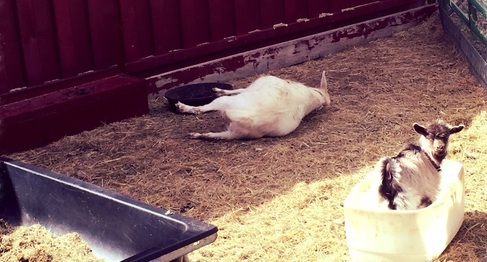 We couldn't be happier with the decision to add this type of goat to our herd. 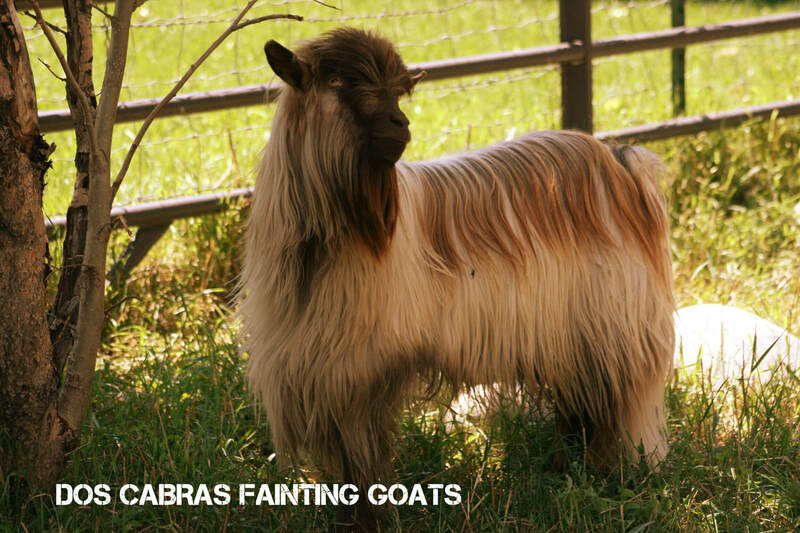 Their fainting skills range from extremely proficient to not noticeably observed, but their beautiful coats and companionable natures are too wonderful to deny. With strong Tennessee roots in Billy and Lucy's pedigree and the addition of the Mini Silky into our herd in Javier, Marigold, Minnie and Moose; we hope to have beautifully diverse little fainting goat kids to look forward to every year. It has been very exciting to trace our goats' pedigree history back to farms with privileged backgrounds such as Woody Creek Farms in Marshall County, Tennessee, Over EZ Acres in Oklahoma and Pine Acres Fainters in Minnesota. 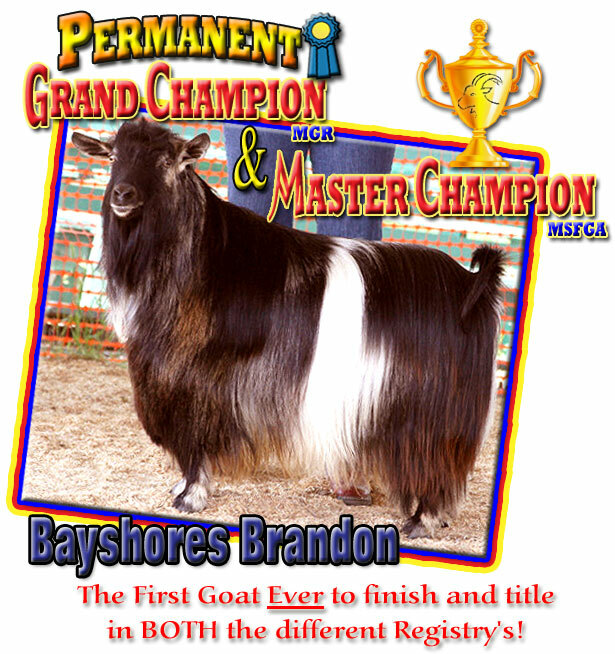 Our newest additions of Mini Silky fainters will include pedigrees of MCH Bayshores Brandon, MCH Sol-Orrs Bee Bop Kid, MCH Bayshores Apollo, MCH Bells Goats Elvis, and Sol-Orrs Latte. We are very grateful to Bells Goats, Triple A Acres, Bear Creeks Farm, and Bowden Goat Ranch for their wonderful additions to our family. 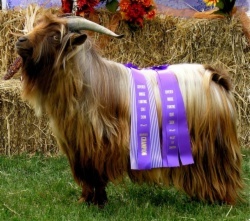 It is our hope as a breeder of both myotonic and mini silky goats to provide not only a good lineage to look back upon, but also provide potential buyers with great companions to keep and show if they want. 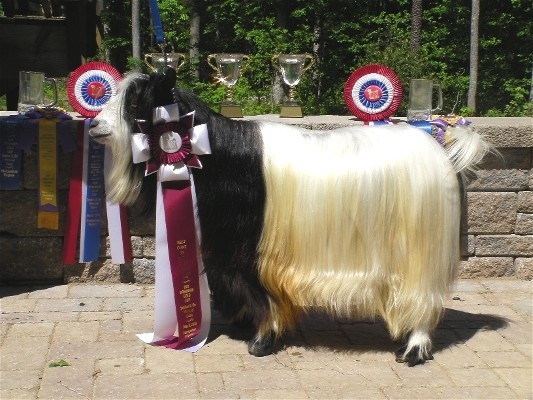 It is our goal to build a herd with good health and diverse color combinations as well as working towards preserving the best qualities of both the myotonic and mini silky breed standards. Our herd family is small at the moment, but we hope to grow and progress to become a quality breeder of these rare and unique goats. 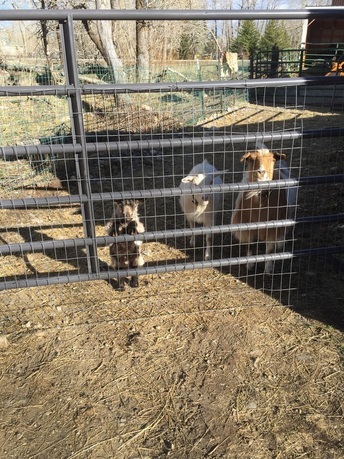 We choose each of our goats with specific care and consideration. 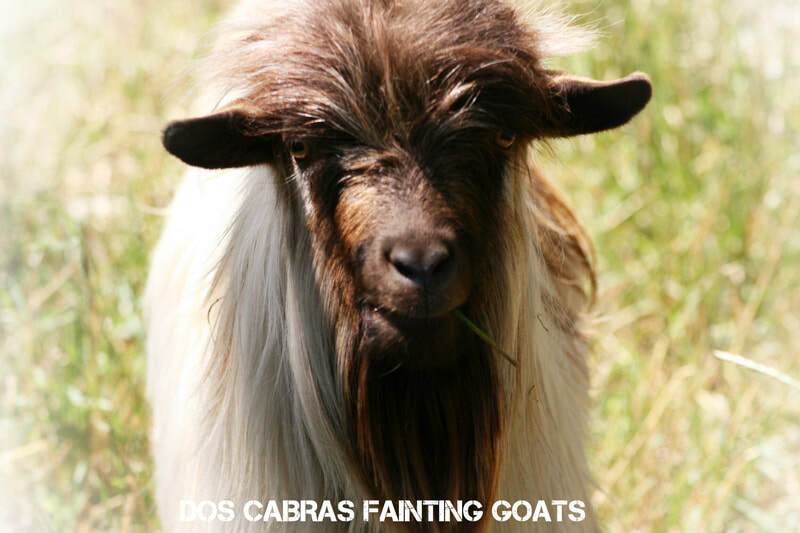 We love each of them for their own unique personalities and we want to provide each of our new Dos Cabras goat kids with a good and loving place to call home. 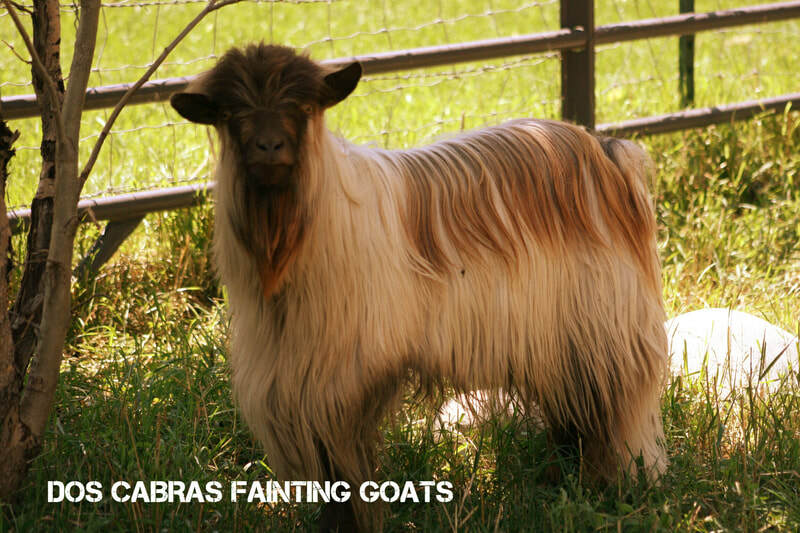 Our future kids can be registered with either the Myotonic Goat Registry or the Mini Silky Fainting Goat Association. They will be well handled and friendly goat kids for anyone to raise. We are looking forward to the experience ahead of us. 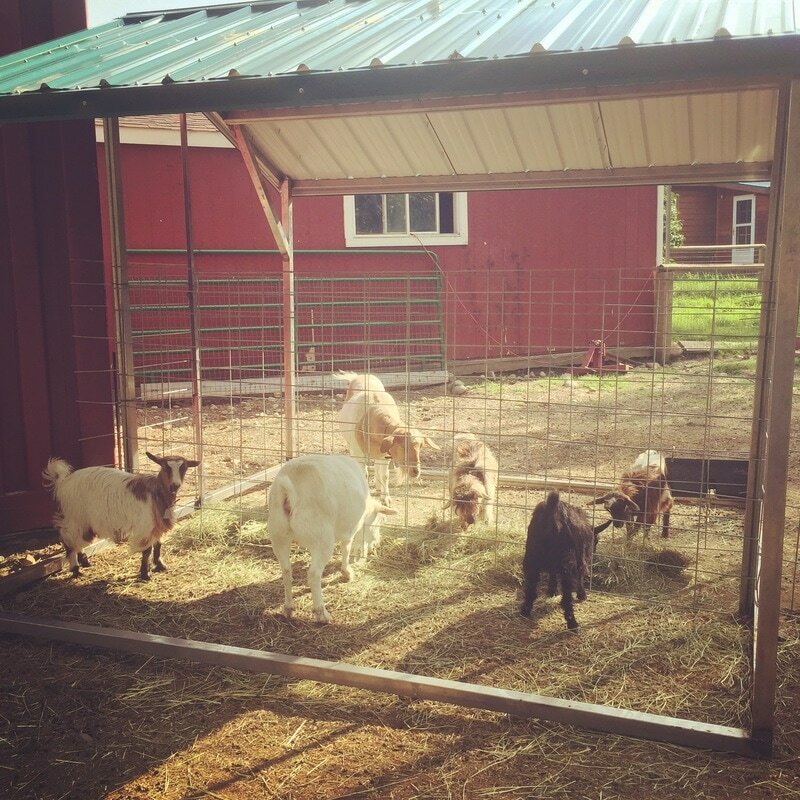 If you are interested in any of our goats, please feel free to contact us anytime. I will gladly answer any questions you may have. Lucy and Billy: The two who started it all.